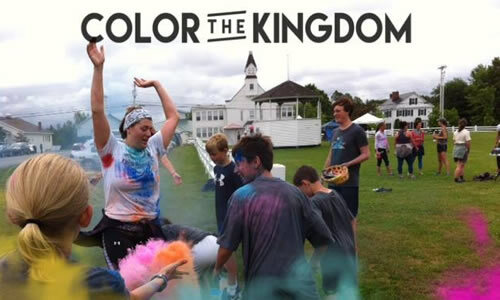 Join us for our Second Annual Color the Kingdom 5k Color Run/Walk fundraiser to benefit The Art House and Wonder & Wisdom! The run is open to all ages and will start in Craftsbury Village then down Creek road, to King Farm rd, across young rd, and back down Creek rd! At check points volunteers will toss fun colors at runners! After the run join us for the Craftsbury Block Party which starts at 4pm! Wear inexpensive/white clothes and get covered in color at each check point! Color powder is non-toxic, biodegradable and completely safe, but may stain clothing. Registration directly benefits community wellness, organizational capacity and arts and nature based education programming in the Northeast Kingdom! Registration includes entry in either the run or walk, a pair of sunglasses and a packet of color!